Train your brain with BrainHQ from Posit Science—the only brain training program clinically proven to improve memory, speed, and attention. Now with new features that contribute to your brain fitness success! BrainHQ is a brain training program that really works. It’s built on the principles of “brain plasticity”—new science that shows that the brain is always capable of change and improvement. Top scientists from around the world provided their input for the BrainHQ exercises. The result: a training system that comprehensively improves brain function, from the most basic elements of perception through the most complex elements of memory, thinking, and decision-making. These proven benefits have inspired leading groups like PBS and the American Automobile Association (AAA) to partner with Posit Science to make the exercises available to their own members. And now they are available to you on your iPad and iPhone! 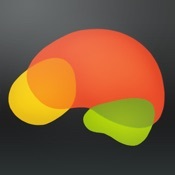 BrainHQ delivers brain benefits in a way that’s easy to learn and fun to do. The app helps you set and achieve your brain training goals—so it not only works, it works for you. •Each exercise adapts to your performance and gets more challenging as your performance improves, just like a personal trainer for your brain. •The training is designed to fit into your life. Train for just 5 minutes in your spare time, or do a complete workout in an hour. BrainHQ is a free download, and includes a core set of exercises that are available for free. Monthly subscription are billed once per month, and an annual subscriptions are billed once per year. Payment will be charged to your iTunes Account when you confirm your purchase. The subscription automatically renews at the end of the billing period. You can cancel your subscription at any time by going to your Settings and turning off auto-renew. To cancel during the current billing period, you must turn off auto-renew at least 24-hours before the end of the current billing period. If you cancel, your subscription will remain active through the remainder of the current billing period, with no refund for this period of time.